As the popularity of raw diets has grown, so have the number of products. Choices range from complete diets (though most are not actually complete; see below for more info), to mixtures of meat, bone, organs and veggies that you can use as the base of a complete diet, to parts of the diet, such as ground or whole raw meaty bones, which you would need to combine with other foods at home in order to create a complete diet (see Homemade Diets for more information on how to ensure that you're feeding a complete diet). Most frozen raw foods are expensive, especially if you have to pay shipping, but they may be feasible if you can find a local source (or have small dogs!). Note that commercial raw diets are often quite high in fat. If possible, look for foods where the percentage of protein is twice that of fat. These articles discuss the fact that most commercial raw diets do not actually meet AAFCO nutrient guidelines, despite claims that they do. They also discuss other problems with these diets, including the fact that almost all commercial raw diets are extremely high in fat. High-fat diets are inappropriate for all but working dogs such as sled dogs and herding dogs. They are likely to lead to weight gain, or to nutritional deficiencies if portion sizes are reduced enough to prevent weight gain. They are also likely to cause digestive upset in many dogs, and pancreatitis in those that are predisposed. As a general rule, I don't recommend feeding commercial raw diets exclusively. If you combine commercial raw diets with other types of complete diets or recipes, particularly those that are lower in fat, you greatly reduce or even eliminate the issues we found, especially if you also vary the meats you feed. Our goal with these articles was not to say that you should not feed those foods; only that you should be cautious about feeding them exclusively, especially to the most vulnerable dogs, which include growing puppies, pregnant and nursing females, and older dogs who eat less than they once did. See above for more information regarding the fact that most commercial diets do not meet AAFCO nutrient guidelines even when they claim that they do. Answers Raw Pet Food Chicken, beef, and pork varieties. "Straight" varieties are ground mixes that include meat, bone, and organs only (incomplete diets). "Detailed" varieties add eggs, vegetables, and supplements and claim to be complete, but do not meet AAFCO nutrient guidelines. Instead, they use an AAFCO feeding trial statement for their foods (AAFCO feeding trials are easy to pass even for foods that are not complete and balanced). A nutritional analysis shows they are all low in zinc and vitamin E; all but beef are low in potassium and copper; pork variety is low in calcium/phosphorus; not all nutrients are listed, so other deficiencies, such as iodine, are likely. All diets are high in fat (like most commercial raw food diets). Limited information available online: no guaranteed analysis, AAFCO statement or individual ingredient list. Their feeding calculator says all products in the same line have the same number of calories, which is unlikely. Also offers raw goat's milk. Made in Fleetwood, Pennsylvania. Available at retailers around the country. BARF World Offers three "complete" diets: Chicken, Beef and Lamb. Claims to meet AAFCO nutrient guidelines for all life stages, but a complete nutritional analysis is not provided, so they may not actually do so due to high-fat content (common to all commercial raw diets). Feeding instructions are linear, meaning they don't take into account the fact that small dogs need more food for their weight than large dogs do. Lamb variety is very high in fat; Beef variety is moderately high in fat; Chicken is close to normal fat. Available through a few distributors in the US, or can be ordered online. Bravo! Balance Raw Food Diet Bravo!, a company that has long made high-quality incomplete mixes, is now offering Bravo Balance, which "meets the AAFCO standard for 100% complete and balanced nutrition for all life stages." Like almost all commercial raw diets, however, these products do not actually meet AAFCO guidelines. Chicken, Beef and Turkey varieties, made with human-grade antibiotic-free poultry, hormone-free, grass-fed red meats, organ meats and bones combined with Grade A vegetables and fortified vitamins and minerals. All varieties are extremely high in fat. Also available: Homestyle Complete freeze-dried dinners in beef, pork and turkey varieties. Bravo! also offers a wide variety of incomplete products (see below). Distributors in many states. Darwin's offers two lines of food: Natural Selections and Zoologic Meals. Both use human-grade ingredients; Natural Selections uses free-range, antibiotic- and hormone-free meats, and organic vegetables. Both offer beef, chicken, turkey, duck, and buffalo (limited availability) varieties with approximately 75% meat and 25% vegetables. "Our meals are formulated to meet or exceed all AAFCO nutritional guidelines for All Life Stages and all state and federal requirements." (This company worked with Steve Brown to ensure that their foods are properly formulated on a caloric basis.) Lamb variety is extremely high in fat; Duck variety is very high in fat; Chicken, Turkey, and Beef varieties are moderately high in fat. Located in in Seattle, Washington. Genesis Raw Made by Maverick Pet Foods, Genesis Raw offers a several varieties of "complete" diets. Each is about 90% meat, bone, and organs, plus vegetables and oils (no grains). "The Genesis RAW® recipes are formulated to meet the nutritional levels established by the AAFCO Dog Food Nutrient Profiles for all life stages." However, like most commercial raw foods, it appears that these foods do not actually meet AAFCO guidelines on a caloric basis due to their high-fat content. According to the calories shown, all of these foods are dangerously high in fat, higher than any other foods I've seen. This company also makes Nature's Kitchen frozen cooked complete diets. Retailers in many states. Will also ship. K-9 Kraving Offers a number of "complete" diets, including Beef, Chicken, Duck, Turkey, and Chicken & Beef, all with vegetables (no grains). All varieties except Turkey are extremely high in fat (common with commercial raw diets); the Turkey variety has a moderate amount of fat, appropriate for most dogs. Site says, "Formulated to meet the nutritional levels established by the AAFCO Dog Food Nutrient Profiles For All Life Stages." Like most commercial raw diets, it's unlikely that these foods meet AAFCO guidelines on a caloric basis (no nutritional analysis is provided). Feeding instructions are linear, meaning they don't take into account the fact that small dogs need more food for their weight than large dogs do. Located in in Baltimore, Maryland. Retailers in many states. Instinct Raw Bites, Medallions and Patties are made with "85% real meat and organs and 15% fruits, vegetables and vitamins and minerals" (no grains). Varieties include Chicken, Beef, and Lamb. The Raw Signature line (95% meat) also offers Duck, Rabbit and Venison varieties. All Instinct Raw products are extremely high in fat. Note that rabbit meat used to be sourced from China; unsure if that is still true. Instinct Raw varieties state, "formulated to meet the nutritional levels established by the AAFCO Dog Food Nutrient Profiles for all life stages except for growth of large size dogs (70 lbs or more as an adult)." A nutritional analysis is not provided, so I can't verify if these foods meet AAFCO guidelines on a caloric basis. Instinct Raw Signature varieties state, "provides complete and balanced nutrition for all life stages and is comparable in nutritional adequacy to a product which has been substantiated using AAFCO feeding tests. This is the weakest type of AAFCO statement that can be used, and indicates that these foods to not meet AAFCO nutrient standards. If you compare the ingredients in the regular Raw line to those in the Raw Signature line, you'll see a number of added vitamins and minerals that are undoubtedly missing in the Signature foods. The Signature line is not recommended for this reason. Raw Boost Mixers (freeze-dried) are not complete diets: "intended for intermittent or supplemental feeding only." Offers "complete" raw diets in the form of chubs, nuggets and bars. Chicken, Turkey, Beef, Bison & Beef, Lamb, Whitefish & Salmon, and Chicken & Salmon varieties. All varieties say they are 80% meat, 18.75% produce and 1.25% supplements. "All of our meat is raised in the USA (Lamb also from New Zealand) without antibiotics or added hormones. Beef, bison and lamb are grass-fed. Proteins are USDA inspected and passed. Recipes are grain and gluten free." Site says, "Complete and balanced diets." No AAFCO statement or complete nutritional analysis provided, so it's unlikely that all nutrient requirements are met, especially on a caloric basis (common with commercial raw diets). Calcium percentages are above AAFCO maximums for large-breed puppies in all but their Chicken variety. All varieties are extremely high in fat (common with commercial raw diets). Feeding instructions are linear, meaning they don't take into account the fact that small dogs need more food for their weight than large dogs do. Oma's Pride Woof Complete Meals Oma's Pride, a company that has long made incomplete mixes, is now offering "Woof Complete Meals" (Chicken variety only). Site says, "Exceeds AFFCO canine nutritional standards as a complete meal for all life stages," but no nutritional analysis or calorie count is provided, and it's unlikely that this food actually meets AAFCO guidelines on a caloric basis (like most commercial raw diets). Also like most commercial raw diets, this food is quite high in fat (over 30% fat on a dry matter basis). Available in both frozen raw and freeze-dried formats. Oma's Pride also offers a wide variety of incomplete products (see below). From Miller Foods, Inc. in Avon, Connecticut. Distributors in many states. Can also be ordered online. Pets 4 Life Pet Cuisine Pets 4 Life offers Beef, Chicken, Duck, Lamb, Rabbit, Salmon and Turkey varieties. Many ingredients are locally grown and sourced. "Pets4Life and Ultimate Diet products are made in Canada from 100% Canadian meat, fish and poultry." Site says, "all PETS 4 LIFE Pet Cuisine, don’t just meet, but exceed AAFCO and CVMA requirements for all life stages." It appears, however, that these diets are incomplete based on the ingredients and partial nutritional analyses provided their website. I did not receive a reply to my request for a full nutritional analysis. Caloric information is not provided, but the Beef variety appears to be extremely high in fat, while the Chicken, Lamb and Rabbit varieties appear to be moderately high in fat. Duck, Salmon and Turkey varieties have less fat and may be appropriate (impossible to know for sure without knowing calories). Primal makes both "complete" diets (Formulas) and blends that are not complete (Grinds and Mixes, see below). Formulas are available in Chicken, Duck, Beef, Lamb, Pheasant, Pork, Rabbit, Venison, Quail, and Turkey & Sardine varieties in nugget format, and some are also available in a smaller "scoop & serve" format (Primal Pronto). Most varieties are extremely high in fat (especially Chicken, Beef and Lamb); Rabbit and Venison are moderately high in fat; Pork has a reasonable amount of fat suitable for most dogs. The Chicken, Pheasant, Rabbit, and Quail formulas should not be fed to large-breed puppies due to high calcium content. Site says that each formula "provides complete and balanced nutrition for all life stages and is comparable in nutritional adequacy to a product which has been substantiated using AAFCO feeding tests." However, the nutritional analyses indicate that these foods do not meet AAFCO nutrient guidelines. Uses HPP processing to kill bacteria. Available at retailers around the country, including Whole Foods. Also available online from Only Natural Pet Store. Raw Advantage Offers "complete" Organic Chicken and Turkey Dinners, but there is no mention of AAFCO and it's doubtful that these foods actually meet AAFCO guidelines based on their ingredients. The website provides a guaranteed analysis for only one product, Rock Island Raw Recipe, which is extremely high in fat (typical of commercial raw diets). Also offers incomplete mixes. Located in in Kettle Falls, Washington. Available online only. "We use only inspected, human grade ingredients from USDA facilities." Based in Cannon Falls, Minnesota. Available in many areas, see Store Locator. Can also order online. Raw Wild "Complete" diet made from wild (not farmed) deer and elk meat and nothing else other than supplements. Ideal for dogs with severe food allergies who may need a very limited-ingredient diet with unusual proteins that they have not been exposed to before. No ingredients from China (including supplements). Stella & Chewy's Offers frozen and freeze-dried Chicken, Beef, Lamb, and Duck products. "Steaks" are about 95% human-grade, naturally raised, hormone- and antibiotic-free meat, bone, and organs, and 5% organic fruits and vegetables. "All food meets the nutritional levels established by the AAFCO Dog Food Nutrient Profiles for All Life Stages." However, like almost all commercial raw diets, they do not meet AAFCO guidelines on a caloric basis due to high fat content. Opened their own processing plant in May, 2007, and they have a documented food safety and testing program. Calcium percentages range from 1.5-1.7%, which should be OK for large-breed puppies. Located in Wisconsin. Retailers around the country and available online from Amazon. Also marketed as Only Natural Pet Freeze Dried Patties (see Shopping page for coupons). Steve's Real Food for Dogs Steve's is a "complete" diet consisting of ground meat and bones, organ meat, vegetables, and a variety of supplements. All ingredients are human-grade. Has a tiny amount of rice bran, but no other grains. Chicken, Turkey, Beef and "Turducken" varieties available. Now available in patties as well as nuggets, which are bulkier and more expensive to ship. Freeze-dried version is also available, but very expensive. "All formulas of Steve's Real Food for Pets are formulated using the AAFCO nutrient profiles to meet the nutritional requirements for all stages of your dogs life from weaned puppy through seniors." Retailers across the country in most states. Also available from RawPetFood.com. Dog Food Mixes designed to be used with fresh raw or cooked foods. Bil-Jac Fresh Frozen: Contains meat by-products and other foods from unnamed sources, cereal waste products, and other low quality ingredients. See Homemade Diets: Guidelines for feeding incomplete blends for more information on how to use these products as the basis for a complete homemade diet. Bravo! Frozen Raw Bravo! offers a wide variety of incomplete products, including Bravo Blends (ground meat, bone, organs and veggies), Bravo Basic (ground meat, bone and organs), and Bravo Boneless (ground meat only). They offer a number of exotic proteins (rabbit, bison, venison, duck), plus green tripe (which is not listed on their web site). Blends are not complete and do not meet AAFCO guidelines, with the exception of Bravo! Balance (see above). You can formulate a complete diet from their products, but don't just feed the blends with nothing added. See Homemade Diets for more info on how to ensure that you're feeding a complete diet. See the booklet Bravo Beginnings for good information on how to put together a complete diet for your dog from Bravo products. Also see the How-2 web page put together by a Bravo distributor who is also a friend of mine. Distributors in many states. K9 Natural "Feasts" combine meat, bone, organs, vegetables, and sometimes eggs. Chicken, Lamb, and Venison Feasts are a little high in fat, as most commercial raw foods are, but the Beef Feast and Lamb & King Salmon Feast are extremely high in fat and would be dangerous to feed, as they would be likely to cause stomach upset or pancreatitis. Green tripe variety is tripe only. Ingredients appear to be very high-quality, but these are not complete diets, despite what they say. I do not recommend feeding half raw meaty bones with this food, as they tell you to do, as that would be way too much bone and would increase the amount of fat even further. Made in New Zealand. Available in the U.S., Canada, and other countries. Oma's Pride offers unusual meats (elk, kangaroo, rabbit, ostrich,venison), green tripe, whole raw meaty bones, as well as mixtures of ground meat and bones, organ meat and veggies. Mixes are not complete and do not meet AAFCO guidelines, other than their Woof Complete Meals. The mixes contain 35% meat, 35% bone, 10% organ and 20% veggie. See Guidelines for Feeding Incomplete Blends for more info on how to ensure that you're feeding a complete diet. From Miller Foods, Inc. in Avon, Connecticut. Distributors in many states. Freeze-dried products can be ordered online. Primal Pet Foods Primal makes both complete diets (Formulas) and blends that are not complete (Grinds and Mixes, see Guidelines for Feeding Incomplete Blends for more information on how to use these products as the basis for a homemade diet). Grinds are meat, bone and organs only (82% meat, 8-9% bone, 7-8% organs); Mixes add fruits and vegetables as well (same proportion of meat, bone and organs, plus 20% produce). All use heart to supply muscle meat, liver as their organ meat. 100% human grade, hormone, antibiotic and steroid free meats, poultry and game, certified organic produce, certified organic minerals and unrefined vitamins. Grinds and mixes come in turkey, chicken, beef, lamb, buffalo and sardine varieties. Only the venison formula has an appropriate amount of calcium for large-breed puppies, the rest should not be fed due to high calcium content. Located in San Francisco, CA. Available in many stores. Vital Essentials Vital Essentials (formerly Animal Food Services) calls their frozen raw and freeze-dried diets "complete and balanced," but this cannot be true based on the ingredient lists shown (a complete nutritional analysis is not provided, nor do they show an AAFCO statement with their products). Typical of most commercial raw diets, these are quite high in fat. Feeding guidelines are poor, indicating a limited understanding of nutrition. These diets would best be fed intermittently (if your dog can tolerate the high fat levels), or combined with a lower-fat diet that is known to meet AAFCO guidelines. Available in many stores and online. There are a number of other products available which you may want to look into, particularly if they are in your area (many can be shipped, but shipping is costly for frozen foods). Some of these companies offer ground mixes in addition to just parts. Note that very few of these mixes are certified to meet AAFCO nutritional standards -- in other words, most are not complete diets. You will need to balance out the ratio of meat, bone and organs yourself, and preferably add some additional fresh foods as well, such as eggs, dairy and canned fish with bones. See Homemade Diets for more information. Following are commercial raw food products in the US, listed by state. See below for suppliers in Canada, Australia and Europe, as well as Specialty Products and Grass Fed and Organic Products. The Wholesome Hound in Dothan, Alabama 334-685-0002. Offers a selection of raw meaty bones, meat, organs, etc., plus several commercial raw diets. EcoPawz Sushi for Pets in San Francisco, California (877) 440-7299. Frozen raw ground salmon, whitefish and sardine (also whole sardines). Also offers chicken, turkey, and duck products with ground meat, organs, and bone, with or without added vegetables. Salmon has been frozen at temperatures designed to prevent salmon poisoning. Wiley's treats include dried salmon, chicken, and turkey. All products are either wild caught, or sourced from local, humane family run farms. smallbatch in Santa Clara, California 415-314-4405. Claims "complete diets" but no AAFCO statement and they appear to be low in several nutrients that are not supplemented (e.g., vitamins D and E, zinc, omega-6 source for beef varieties, copper in chicken varieties, choline, etc.). Carried in stores in both Northern and Southern California. Feed This in Forestville, California 707-823-7001. Delivers as far north as Willits, East to Sacramento, South to Santa Cruz/Watsonville, and throughout the Greater San Francisco Bay Area for a nominal fee. Available at a number of retailers around the San Francisco Bay Area, including Sonoma County and Vallejo. Now also shipping across the US. Offers meaty bones, "Bogie Balls" (a variety of mixtures that include meat with and without bone, eggs, fish, organs and/or veggies) and supplements. Can order individual items or various meal plans. Discounts for bulk and co-op orders. K9 Raw Diet in Westlake Village, California 805-379-0227. Bravo distributor, will deliver to local area. Also offers supplements. Halshan Premium Raw Food in Southern California 888-766-9725. Shipping to California, Utah and Nevada is $15 per 50 pound box, all other states are $100. Offers a variety of ground meat and veggie mixes. Antibiotic and hormone free meats are used. Meat types include chicken, turkey, lamb, beef, venison, ostrich, buffalo, duck and fish. Green tripe is also available. You need to add your own calcium to all boneless mixes (add 1/2 teaspoon ground eggshell per pound of meat). In the Raw K9 Grub in Grass Valley, California (530) 268-8367. Serving the greater Sacramento and North Eastern Foothills area of California. Offers a variety of whole and ground parts, including green tripe, plus supplements, treats, and some dehydrated and freeze-dried foods. OC Raw Dog in Lake Forest, California 949-215-1111. Offers their own blends of ground raw meaty bones, organs, vegetables and fruits, plus a few extras such as cod liver oil, yogurt, alfalfa, or apple cider vinegar. They also add calcium, but it's unclear why, since these products contain bone, and the explanation given does not make sense. Note these are not complete diets; see Homemade Diets: Guidelines for feeding incomplete blends for more information on how to use these products as the basis for a complete homemade diet. Raw for Dogs in Huntington Beach, California 714-847-3965. Offers blends of meat, bone, organs, and veggies/fruits herbs (you can also buy the veggie mix separately). May include fish and eggs as well. Wide variety offered, but no information about how much fat is in these foods. Note these are not complete diets; see Homemade Diets: Guidelines for feeding incomplete blends for more information on how to use these products as the basis for a complete homemade diet. Harvest Meat Company in National City, California (San Diego area), slso has store in Sacramento. 800-653-2333. General manager is a raw feeder who has worked with others in the Colorado area. Hidden Haven Farms in Jamul, California (619) 659-8075 or (949) 285-5286. They raise rabbits for both human and pet consumption. Creston Valley Meats in Creston near Paso Robles, California 1-805-227-6200 (plant) or 1-805-286-7533 (cell). Simon delivers throughout California (San Diego to Grass Valley). Offers a variety of beef, buffalo, emu, ostrich, llama and more raw meaty bones and other parts. Copeland Family Farms in Grenada, California (866) 969-4628. Goat and lamb, including necks, liver, heart, trim, etc. packaged for dogs. The K9's Choice in Sacramento, California. Offers foods from Oma's Pride, Small Batch, Hare Today, and others. Food is ordered once a month; both pick-up and shipping options are offered. Only Natural Pet Store in Boulder, Colorado 888-937-6677, also available through mail order. Carries Bravo!, Nature's Variety, Primal and more. Victory Dog Food in Portland, Connecticut. Offers their own blends of meat, bone, and organs, with or without vegetables. Uses human-grade ingredients. Varieties include beef, lamb, chicken, turkey, duck, and rabbit. Delivered free to Connecticut and most of the Northeast. Companion Animal Meals in Miami, Florida (305) 893-1440. Mixes include veggies and grains, as well as ground raw meaty bones and organs, delivered to your door. Raw Feeding Miami, servicing the Miama, Florida area 786-325-4465. Offers a variety of products - whole prey model meats, fresh grinds made every week (balanced 80% meat and bones, 10% muscle, 10% organs) as well as green tripe (grass-fed, hormone and antibiotic free) and dehydrated organic treats as well. K9 RawFeeding in Miami, Florida 786.558.4285. Offers high-quality meats, including grass-fed, hormone- and antibiotic-free, and organic options, along with a wide range of other "farm to canine" raw products, including green tripe. Will ship to other areas. Raw4Dogs Several distributors in Florida. Offers mixes plus individual ingredients, including chicken, turkey, lamb, beef, rabbit and lamb (all with bone) and other unusual meats, plus green tripe, organ meat, and whole raw meaty bones. Pet's Raw Edge in Miami, Florida. Sells a variety of ground meat and bone products. Note these are NOT complete diets; in particular, the Puppy Mix would not provide complete and balanced nutrition for a puppy. Pete's Meats in Palm City, (southeast) Florida 772-370-5168. Offers ground and whole products, including green tripe. Also offers a complete food (with added supplements) called Eureka. Discount for law enforcement and service dogs (including retired). Delivery available, or you can pick up in Stuart (south FL). Blue Ridge Beef in Bunnell, Florida 386-437-5160, with additional plants in Georgia and North Carolina. Ground meat, bone and organ mixes. Also offers green tripe. Will deliver in refrigerated trucks. Also available in Alabama, Arizona, Georgia, Illinois, Indiana, Michigan, New York, North Carolina, Ohio, Pennsylvania, South Carolina, Tennessee, Virginia and West Virginia. Corrina's Corner in Decatur, Georgia 404-687-8001. Processes and delivers raw dog food in the Atlanta metro area. Licensed by the Georgia Department of Agriculture. All ingredients are locally sourced, raised in the USA, processed and packaged in their onsite kitchen. "We use only human grade meats to create our grain-free pet food." You can purchase individual meals, bulk quantities, or sign up for a meal plan. Note that Formulas are not complete diets; see Guidelines for Feeding Incomplete Blends for more info. Allprovide Fresh Pet Foods in Norcross, Georgia 676-585-1606. Will ship to many states. Offers complete diets, though it's unclear if these foods actually meet AAFCO guidelines. Uses locally sourced, human-grade meats, and the company manufacturers its own food. Healthy Pet Products (HPPI) in Canton, Georgia. Dealers in other states as well. Offers complete diets as well as various parts, including green tripe. Green Cuisine 4 Pets in Atlanta, Georgia (770) 509-5520. East Coast distributor for greentripe.com ground tripe formulas and raw beef pancreas. They also offer some of the other raw products such as gullets, trachea and cow hooves as well as the K9-Magic treat roll. All GreenTripe.com products are manufactured at their facility in California and all ingredients are USA sources. thedog-maonline in Lebanon, Georgia. Local delivery to northern Atlanta area counties and Cherokee County. Offers a number of raw, freeze-dried and dehydrated products, including Bravo, Nature's Variety and Primal. Paige Lee Raw Pet Diets in Alpharetta, Georgia 770-740-8048 Sells ground meat and organ mixtures, some with ground bone as well. These are not complete diets. Blue Ridge Beef in Eatonton, Georgia 770-962-9618, with additional plants in Florida and North Carolina. Ground meat, bone and organ mixes. Also offers green tripe. Will deliver in refrigerated trucks. Also available in Alabama, Arizona, Florida, Illinois, Indiana, New York, North Carolina, Ohio, Pennsylvania, South Carolina, Tennessee, Virginia, and West Virginia. Kona Raw Pet Food Co-op in Holualoa, on the big island of Hawaii, offers a variety of beef, chicken, turkey, pork, and lamb products. Health Connections 4 Life in Wonder Lake, Illinois 847-814-9992. Distributor for Oma's Pride, Fresh is Best, and B-Naturals supplements. Natural Pet Market in Glen Ellyn, Illinois 630-534-6682. Carries multiple raw foods, plus a variety of raw food pre-mixes and things like Tripett and Wysong All Meat Diets. K9Cuisine in Paris, Illinois 866.919.2415. Carries Healthy Pet Products (see above) frozen and freeze-dried foods. Blackwing Quality Meats in Antioch, Illinois 847-838-4888. See their Dog Formula for a less expensive alternative. Wiggles and Wagmore in Peoria, Illinois 309-863-9377. Delivers to central and southern Illinois and Iowa, will ship elsewhere. Distributor for Blue Ridge Beef products. Albright's Dog Food in Fort Wayne, Indiana. Distributors available in many states. "All ingredients are produced and approved for human consumption." Two varieties: Beef & Chicken and All Beef. The company says, "Albright’s All Natural Raw Dog Food is formulated and independently tested to meet the nutritional levels established by the American Association of Feed Control Officials. It is a complete and balanced food for all life stages, including the youth of large dogs (50 lbs or more as an adult.)." However, like most commercial raw diets, these foods to not actually meet AAFCO guidelines and are best combined with non-raw low-fat foods that are complete and balanced. Raw Paws Pet Food in Indianapolis, Indiana 317-509-9811. Will ship nationwide; also offers home delivery or you can pick up at their warehouse. Offers parts (both ground and whole), as well as mixes that include meat, bone, and organs (note these are not complete diets, despite their claims to the contrary). Carries green tripe as well as a number of exotic proteins, including goat, llama, duck, quail, venison, and rabbit. My Pet Carnivore in Indianapolis, Indiana 317-373-4111. Delivers to Illinois, Indiana, Iowa, Kansas, Kentucky, Michigan, Missouri, Ohio and Wisconsin. Rabbit, Duck, Fish, Turkey, Lamb, Mutton, Beef (including tripe), chicken and goat, whole or ground, including organs. Products come from small family farms and are antibiotic- and hormone-free, most are grass-fed. Also offers treats and supplements. Shebang's Natural Selection in Rockport, Indiana (812) 649-5000. Offers ground raw meaty bones, some mixed with heart or veggies. These are NOT complete diets; see Guidelines for Feeding Incomplete Blends for more info. S&N Rabbits in Bryant, Indiana 260.997.6687. Ground and whole rabbit. Prey4Pets in rural north-central Kentucky. Beef, pastured chicken, pork, and rabbit parts. Mountain Pride Cooperative in Mt. Lake Park, Maryland 301-334-6960. Source for human grade rabbit and goat. Top Quality Dog Food in Hyattsville, Maryland. Offers a variety of ground meat and bone products, including some with organs and vegetables. Dogs Gone Raw in Paxton, Massachusetts 774-234-7299. Offers beef products. Like most commercial raw products, Performance Dog does not meet AAFCO guidelines according to the information provided. The Big Biscuit! in Bellinham, Massachusetts. Carries Victory Dog Food (frozen raw) and Addiction (dehydrated). Butcher Boy in Michigan 586-779-0600. Carries exotic game, including venison and buffalo, will ship. Carnivore Carry Out in Southeastern Michigan, offers Blue Ridge Beef products. Golden Acres in Minnesota offers regular deliveries to drop-off points at various sites around the Twin Cities, including Princeton, St. Francis, Blaine, St. Paul, St. Louis Park, Monticello, and Richfield. Also offers home delivery for an additional fee. Locally sourced beef, chicken, turkey, and vegetables, in both whole and ground forms. Woody's Pet Food Deli in Minneapolis, Minnesota. Offers "complete and balanced" meals as well as a variety of different ground meat, bone and organ mixes, including some exotic proteins. Raws for Paws in Minneapolis, Minnesota. This division of Swanson Foods caters to raw feeders, offering a variety of whole and ground products. Rabbits4U in Missouri. Rabbits are antibiotic free and growth hormone free. Will ship anywhere in the continental U.S. Nature's Logic in Lincoln, Nebraska 402-475-7663. Distributors in many states, but I don't know if they offer the raw foods or just the dry/canned. Offers a complete raw diet that uses eggshells rather than bone. Unsure if meat is human-grade. Pawsitive Kinection in Grantham, New Hampshire (603) 856-1163. We supply NH and VT with Vermont Raw and Oma's Pride. Pawfectly Raw in Amherst, New Hampshire (978) 804-6890. Also makes monthly deliveries to Vermont, Maine, Rhode Island, Massachusetts, and Connecticut. Offers a variety of whole and ground raw food products, including tripe. Rock Farm Natural Beef in Wolfeboro, New Hampshire 603-569-4250. All natural beef business -- has a good supply of hearts, tongues, bones, and livers for raw dog food at $1.00 per pound. All natural, no antibiotics and no hormones. Yankee Farmer's Market in Warner, New Hampshire 1-877-936-BUFF. Source for buffalo meat. Field and Feed in Milford, New Hampshire 603-533-0242. Oma's Pride distributor. Healthy Paws in Washington, New Jersey. Ground and whole meat, raw meaty bones, organs, veggies and tripe. Wholistic Paws Health Store for Pets in Ridgewood, New Jersey. Distributor for Bravo (including green tripe), Aunt Jeni's Home Made 4 Life, Primal Pet Foods and Nature's Variety. Raaw Energy in Adelphia, New Jersey 732-414-1446. Pick up locations also in Pearl River and Syracuse, New York, and Bensalem, Pennsylvania. Offering a variety of ground and whole parts, plus "medleys" with a mixture of meat with bone, organs, and vegetables. Also see Pa & NJ Raw Feeding Network Yahoo group. Ramapaw Natural Pet Food in Mahwah, New Jersey, also serving New York. Distributors of frozen raw food including K-9 Kraving, Big Dog Natural, and Tefco products, including tripe. Abby's Choice Natural Raw Pet Foods in Naples, New York, 585-615-0934. Offers their own blend of ground chicken and turkey (including bone), organs, vegetables and oatmeal. Note these are not complete diets; see Homemade Diets: Guidelines for feeding incomplete blends for more information on how to use these products as the basis for a complete homemade diet. The information provided about protein and fat makes no sense, as these blends are very high in both protein and fat (44% and 42% respectively, on a dry matter basis); see High-Protein Diets and Large and Giant Breed Puppies for more information. Also offers certain whole raw meaty bones. Abe's Natural Market in Queensbury, New York. Carries ground mixes (including green tripe), whole meat products, bones, treats, and supplements. Paleo-Pack by Chaljeri Meats in Callicoon, New York (347) 460-9060. Produces raw dog food from their own grass-fed and grass-finished beef. It has nothing but beef, hearts, livers, kidneys etc. Also offers lamb and pork. No hormones or antibiotics. Delivery available to the NYC area as well as White Plains and Sullivan counties. Maddie's Mash in Callicoon Center, New York. Three recipes that include meat, grains, vegetables, and whole-food supplements. Not complete diets (no AAFCO statement; would be low in vitamin E and possibly other nutrients). RawK9Food in Queens, New York. Distributor for Tefco products, including green tripe, in the Queens area. The White Rabbit Ranch in McDonough (upstate) New York. Offers whole prey model and ground rabbit products for raw feeders. Raise A Paw 4 Raw (Tefco, Inc.) in Brooklyn, New York (718) 745-5537. Ground and whole meat, raw meaty bones, organs and tripe. Performance Blend claims to meet AAFCO guidelines. Marlow & Daughters in Brooklyn, New York. Offers pet food mixes using local, grass-fed meats. NDN (Nu Dimensions Nutrition) in Raleigh, North Carolina (919) 848-4071. Retailers in Florida, New York, North Carolina, South Carolina and Virginia. Blue Ridge Beef in Statesville, North Carolina 704-871-2393, with additional plants in Florida and Georgia. Ground meat, bone and organ mixes. Also offers green tripe. Will deliver in refrigerated trucks. Also available in Alabama, Arizona, Florida, Georgia, Illinois, Indiana, New York, Ohio, Pennsylvania, South Carolina, Tennessee, Virginia and West Virginia. Triangle Pet Supply in Raleigh-Durham, North Carolina (919) 434-9663. Offers a wide selection of pre-made frozen and freeze-dried raw foods, including tripe. Free delivery to triangle residents. G & C Raw in the Cincinnati area of Ohio. Offers a variety of ground mixes and whole parts (none are complete diets). Delivery available and will also ship. Three Cheers Raw! Raw! Raw! in North Lima, Ohio 330-549-3077. Offers a large selection of ground mixes, whole raw meaty bones and dehydrated treats. A Place for Paws in Columbiana, Ohio (800) 354-4216. Offers a variety of veggie, meat and bone mixes and raw meaty bones, including tripe. mOrigins in Cleveland, Ohio (216) 228-3656. Distributors in Connecticut, Massachusetts, New York, North Carolina, Ohio and Texas. Freeze-dried version also available. Appears to be a complete diet, though there is no mention of meeting AAFCO requirements. OmegaFarms in Alvordton, Ohio. Offers a variety of meat and raw meaty bones, both whole and ground, also rabbit, goat, pinkies and baby chicks, etc. Nicky USA in Portland,Oregon 503.234.4263. Source for free-range chicken backs and necks as well as more exotic game birds and meats. Asgard Raw Dog Food in Pittsburgh, Pennsylvania Offers a variety of ground and whole meat products, including green tripe, as well as mixes that include vegetables and fruits. Meats include chicken, turkey, duck, beef, lamb, pork, and rabbit. Also offers raw goat's milk. There is no mention of supplements, so these are not complete diets (see Guidelines for Feeding Incomplete Diets for how to use blends such as this as a basis for a homemade diet). Keystone Natural Foods in New Alexandria, Pennsylvania 724-972-5317. Shipping available to nearby states. Offers a wide variety of meats and organs, both ground and whole, including green tripe, exotics (rabbit, elk, bison, venison, quail), and fish. All meats are human grade, USDA inspected. Most meat comes from local farms / butchers. Food is packed in one-pound bags. Owner has a state-approved butcher shop (licensed for human and for pet consumption) and does most of the processing on site. Hare-Today in Springboro, Pennsylvania (near Ohio) 1-800-640-3682 or 814-587-2178. Carries a wide variety of ground and whole parts with and without bone, including exotic meats and tripe. Lil' Yella' Dog Raw and Natural Foods in the Lehigh Valley, Pennsylvania (610) 570-8720. Offers a large selection of pre-mades and RMBs in a variety of sizes including bulk. Also offers local suppliers for venison and rabbit. Will deliver for $2-$4 depending on location and will ship within a one-day service area from Bethlehem. Oaklyn Farms in Darlington, South Carolina 843-395-0793. Free range chicken and grass fed beef. Peaceful Pastures in Hickman, Tennessee (615) 683-4291. Offers grass fed, antibiotic and hormone free beef, pork, lamb, goat, poultry, dairy products, including unusual items like tongue and organ meats. Natural Raw Diet in Middle, Tennessee 931-808-4671. Ground and whole parts and mixes, including chicken turkey, beef, pork, lamb, mutton, and rabbit. Also see Natural_Raw_Diet Yahoo group. Texas Green Tripe in Detroit, Texas 903-739-0706. Wide selection of ground and whole parts, including tripe. Note that wild boar should not be fed raw, as it can carry trichinosis that is unaffected by freezing. Offers delivery to Fort Worth, Dallas, Houston, San Antonio and Oklahoma areas. Bone-affied Nutrition in Dallas-Fort Worth, Texas 214-529-8355. Huge variety, including tripe, pre-made raw diets, treats, supplements, and exotic meats, such as buffalo, duck, goat, ostrich, quail, venison and more. Bones2Goin Houston, Texas 713-462-2663. Huge variety, including tripe, pre-made raw diets, freeze-dried products, treats, supplements, and exotic meats, such as goat, duck, ostrich, rabbit, buffalo, venison and more. The Dog Bowl in Houston, Texas 713-529-0334. Located in the Village area of Houston, we are an exclusive retailer for B.A.R.F. and Nature’s Variety & sell a wide variety of “must have” pet items that compliment sustaining of a healthy pet – dog & cat! HealthyPet Boutique in Houston, Texas 713-301-2340. Offers a number of pre-made raw diets, freeze-dried products, treats and supplements. Tail Waggins Dog Bakery in Georgetown, Texas 512-868-0047. Carries several raw foods: Nature's Variety, Bravo, Primal, Raw Cat, Wild Kitty, Bulk poultry ordered bi-weekly, Northwest Naturals. Pawsitive Kinection in Grantham, New Hampshire (603) 856-1163. We supply NH and Vermont with Vermont Raw and Oma's Pride. The Furry Foodie from Ayrshire Farm in Upperville, Virginia, 540-592-7018. Available in Maryland, DC, and Virginia; will ship anywhere in the continental U.S.). Offers dinners in several varieties, which include meat (some with ground bone), organs, eggs with shells, sweet potato and squash. Note these are not complete diets (see Guidelines for Feeding Incomplete Diets for how to use blends such as this as a basis for a homemade diet). They may also be too high in calcium for large-breed puppies due to the inclusion of eggshells as well as bones. All meats are human-grade. Most varieties are organic and/or certified humane. The Hydrant in Suffolk, Virginia 757-539-8500. 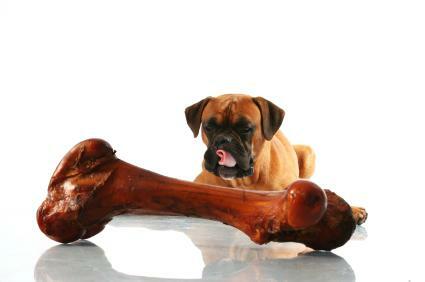 Large assortment of raw food and meaty bones, whole and ground, which may be purchased by the pound or the case. Also Nature's Variety frozen raw and B-Naturals supplements. Chow Now in Marshall, Virginia (540) 364-3934 Line of frozen dog and cat food made from naturally raised meat and produce from 15 Virginia farms. Note these are not complete diets and are too high in calcium for large-breed puppies. Available at a number of stores in Virginia, Maryland and D.C.
Columbia River Natural Pet Foods in Ridgefield, Washington 360-834-6854. Available in Alaska, California, Oregon, Washington. Ground chicken, turkey, duck, guinea hen, quail and rabbit (including bones), venison and lamb (without bones), plus buffalo organs, veggies, tripe and recreational bones. Better Meat in Seattle, Washington (206) 783-8987 or (206) 783-0570. Offers "beef supplement" mix (ground beef, organ meats, ground tracheas), whole chicken backs, beef shank bones and lamb necks. WholeFoods4Pets.com in Washington 509-930-1421. Offers whole and ground rabbit. Also rabbit jerky and ears. Vital Essentials in Green Bay, Wisconsin. Offers complete diets, both frozen and freeze-dried (chicken is too high in calcium for large-breed puppies). Note this food is what used to be called Animal Food Service (AFS). Like most commercial raw diets, all but the fish variety are high in fat. There seems to be a discrepancy between the nutritional analysis and the ingredient list; they may be adding additional supplements (e.g., choline, iodine, and cod liver oil). Health Connections 4 Life in Pleasant Prairie, Wisconsin 815-382-2118. Distributor for Oma's Pride, Fresh is Best, and B-Naturals supplements. Fresh is Best (formerly Companion Natural Pet Food) in Milwaukee, Wisconsin (414) 961-5433 or 866-617-7735. Retailers in several states. Complete diets (no mention of AAFCO, but ingredients look complete and FAQ says they are "complete and balanced"). Beef, Turkey, Duck, and Chicken varieties. Human-grade ingredients. Nature's Menu in Lake Geneva, Wisconsin 1-866-FEED-RAW. Retailers in several states. Complete diet, but limited ingredients (just muscle and organ meat at an 80/20 ratio, the rest is artificial vitamins and minerals). Beef, Lamb, Turkey and Chicken varieties. Diets do not include bone but do have added calcium. Tropical Traditions in West Bend, Wisconsin is now offering pastured organic raw chicken steaks. Diet appears complete but there is no mention of meeting AAFCO guidelines. They also offer grass-fed bison, beef and lamb parts. While the company is in Wisconsin, there is no information about whether you can pick up the food from them rather than having it shipped (which is very expensive for frozen foods). This is from the same company that makes Tropical Traditions Coconut Oil. See my Kidney Page for a list of more tripe suppliers. Farmer's Market Online has links to a number of different direct suppliers of grass-fed meats, unusual meats (elk, bison, etc. ), and antler velvet. K-9 Choice Foods in Tofield, Alberta (780) 922-6642. Distributor for British Columbia: Jack & Denise McKay 250-423-6672. Offers various mixtures of meat and vegetables, including some exotic meats for dogs with food allergies (note this is not a complete diet, see Guidelines for Feeding Incomplete Diets for how to use blends such as this as a basis for a homemade diet). Also offers ground meat and bone products, and some individual items, including green tripe and beef pancreas (used for dogs with EPI). Mountain Dog Food in Alberta 1-866-769-3663 or (780) 443-3278. Also available in most other Canadian provinces. Products include ground chicken and turkey (bone-in) available with our without fruits & vegetables as well as assorted organ meats, tripe, whole raw bones and (when available) beef. Callie's Cuisine in North Vancouver, British Columbia 604-980-5947. Raw free range, non-medicated or organic meat, bones and vegetables, plus grain-free treats. Club Canine in Mission, British Columbia 604.814.2582. Offers a variety of whole and ground products, including beef and lamb tripe. Note their blends are not complete diets. The Healthy Hound in West Vancouver, British Columbia 604-925-DOGS (3647). An anti-inflammatory diet for dogs with arthritis, skin irritations, allergies and even chronic ear problems is also available, as well as a gastro diet. Simply Natural Raw Pet Food in Vancouver, British Columbia 604.266.1125. Offers a wide selection of grain-free, non-medicated, free-range products for cats and dogs. Competitive Pricing. Frequent Buyer Program. Pets Go Raw (Top Hand Supplies) in Cranbrook, British Columbia (250) 417-0487. "Full Meals" are not AAFCO certified but offer an excellent blend of foods. Simple meat/veggie/fruit combos also available that can be combined with other foods. Human-grade ingredients. Dealers in British Columbia and Alberta. True Carnivores in Vancouver, British Columbia (604) 267-3647. Carries a number of raw food products, including tripe. Red Dog Blue Kat in Vancouver, British Columbia (604) 669-2166. Also available in Alberta and Ontario. Ground meat, organ and veggie mixes available, some with bone and some without. Also offers a few other products. Totally Raw Natural Dog Food in Dartmouth, Nova Scotia (902) 407-9930. Offers parts, both whole and ground, including green tripe, along with blends of meat, organs, bone, tripe and supplements. Note these are not complete diets (see Guidelines for Feeding Incomplete Diets for how to use blends such as this as a basis for a homemade diet). Awesome Paws just north of Toronto, Ontario 705-812-1533 or 416-907-3290. Offers a variety of meats, raw meaty bones, and organs, including venison and green tripe. Delivery available in nearby areas. Barkside Bistro in Toronto, Ontario 647-479-3888. Carries several varieties of commercial raw food, including green tripe. Big Country Raw in St. Anns, Ontario. Offers a variety of raw ground mixtures that may include meat, green tripe, bone, organs, vegetables, fruits, and kelp. Also offers a cooked meatloaf. Note these are not complete diets (see Guidelines for Feeding Incomplete Diets for how to use blends such as this as a basis for a homemade diet, but note that these blends will also need added calcium). Bone Apetit in Burlington, Ontario (905) 336-7338. Located in Southern Ontario, serving the Golden Horseshoe. Dogs Love Raw in Barrie, Ontario. New store (as of 2013) that offers a variety of parts, both ground and whole, including green tripe. Their Big Country Raw mixes are not complete diets (see Guidelines for Feeding Incomplete Diets for how to use blends such as this as a basis for a homemade diet). HealthyPaws in Toronto, Ontario 416.741.4888. Offers a variety of mixes with meat, organs, vegetables, fruit, oils and other ingredients that are called complete diets ("Our complete diet formulations are based on the nutritional guidelines developed by the AAFCO," which is not the same as saying they meet AAFCO guidelines). Varieties include chicken, beef, turkey, lamb, goat, venison and bison. Also offers recreational bones. Heronview Raw and Natural in Brooklin, Ontario 905-655-5747. Offers a wide variety of raw foods, both whole and ground, including exotic proteins (e.g., rabbit, quail, venison) and green tripe. Also carries some commercial foods of various types. K9Raw in Bobcaygeon, Ontario, 705-455-2095. Offers a wide variety of proteins for your pet including chicken, beef, lamb, duck, rabbit as well as organ meat, bones and more, such as nutritional supplements and omega 3-6-9 oil. Note these are not complete diets (see Guidelines for Feeding Incomplete Diets for how to use blends such as this as a basis for a homemade diet). Serving Peterborough, Kawartha Lakes, Haliburton and Surrounding Areas. Paws & Claws Pet Pantry in Southern Ontario 905-648-7616 Offers mixtures and both whole and ground products, including tripe. Paws-itively Raw Foods in Ontario 905-788-1605 Ground meat, bone, organ and veggie mixes, including beef and lamb tripe and some unusual proteins (goat, duck, venison, rabbit). Poultry Specialities in Tillsonburg, Ontario (519) 842-7228. Ground chicken with bone, organs, turkey, green tripe. Raw4Dogs in Barre, Ontario. Offers a wide variety of both ground and whole meat and bone products, including chicken, turkey, lamb, beef, rabbit, lamb, and game meats, plus green tripe, organ meat, and dehydrated treats. Raw for Pets in Springfield, Ontario 519-765-2310. Ground meat, bone, and organs (chicken, beef, and pork). Also offers green tripe and a variety of parts, including turkey and duck. Rawsome Dogs in Woodstock, Ontario 519-421-9305. Offers a variety of raw meal plans for dogs and cats that include meat (including ground bone and organs), fresh fruits and vegetables, and supplements. Meat is human-grade, free-range, and antibiotic- and hormone-free. Red Dog Food in Queensville, Ontario. Offers mixture of chicken and vegetables with some herbs and cod liver oil (note this is not a complete diet, see Guidelines for Feeding Incomplete Diets for how to use blends such as this as a basis for a homemade diet). Also offers a variety of parts, including elk, bison and duck. Tollden Farms in Kemptville, Ontario 613-258-3099, or 1-888-887-9344. Offers "Meat & Vegetable Dinners," "Meat and Botanicals Dinners," and "DIY Components" (ground meat with either organs or bones only). There is a statement that "Tollden Farms diets are formulated to meet or exceed AAFCO standards and are balanced for proper nutrition for all life stages," but it appears that these diets are incomplete based on the ingredients and partial nutritional analyses provided to me. See Guidelines for Feeding Incomplete Diets for how to use blends such as this as a basis for a homemade diet. Carnivora (formerly Urban Carnivore) in Saskatoon, Saskatchewan 1-888-665-0856. Retailers in most Canadian provinces. Offers "whole animal patties" that include everything except hide or feathers, intestines, bladder and inedible parts such as hooves. All organs and glands are included. Also offers vegetables and fruit patties, green tripe patties, beef offal patties, supplements and more. See http://lepusreg.tripod.com/NRS.html for even more sources, particularly in Canada. Cymraeg Blaidd Pet Food in Gwynedd, Wales. We supply a full range of beef, pork and lamb products and specialise in quality raw tripe to the North & Mid Wales area. John Price & Partners Ewe Tree Farm in Wilmslow Cheshire. 01625 524363.